The Concept of Idiotypic Network: Deficient or Premature? “A discovery is premature if its implications cannot be connected by a series of simple logical steps to canonical, or generally accepted, knowledge” (1). 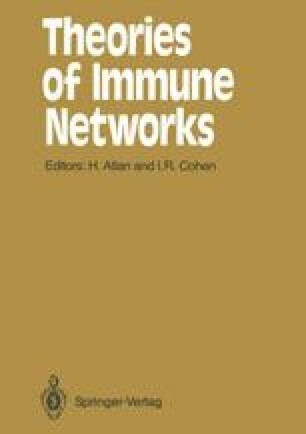 If this is true, then the discovery of the idiotype-anti-idiotype network of lymphocytes (2) must be considered premature, since to this date it has not been successfully integrated, logically, into the growing body of knowledge about the immune system. Alternatively, the network hypothesis itself or the “accepted knowledge”, or both, are deficient. I shall argue in favor of the second possibility. But first I shall briefly refer to the body of knowledge and discuss whether the analytical tools in the hands of theoretical immunologists are capable of integrating or reshaping it in any substantial way.